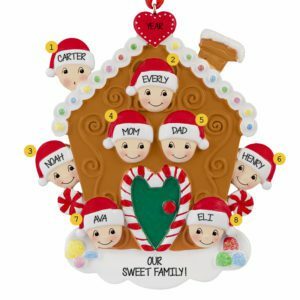 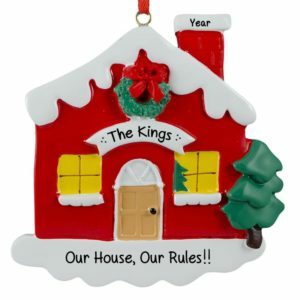 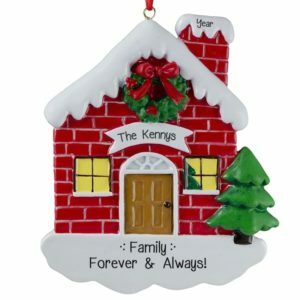 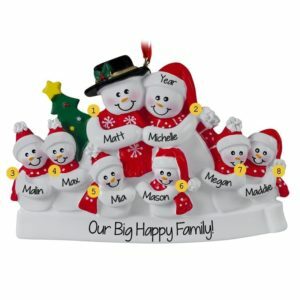 Browse our unique selection of Family or Group of Eight Christmas ornaments! 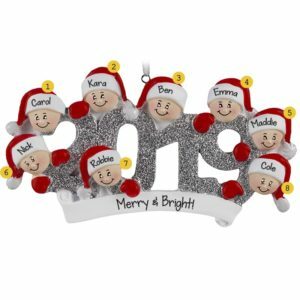 Deck the halls with a personalized Christmas ornament featuring a family or group of eight people for an extra dose of holiday cheer! 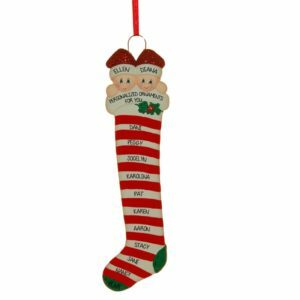 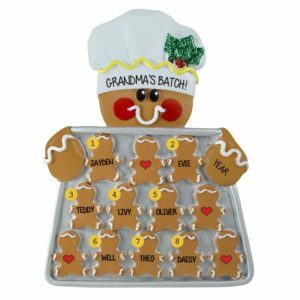 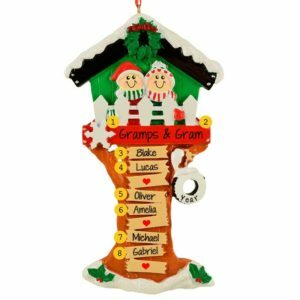 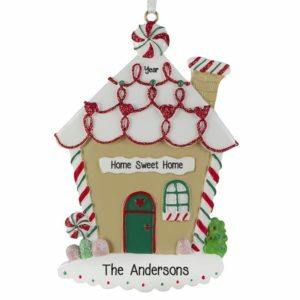 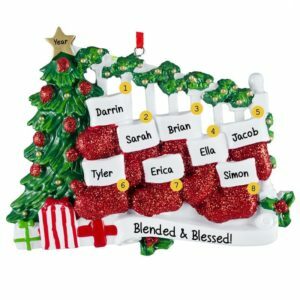 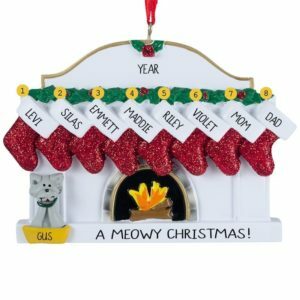 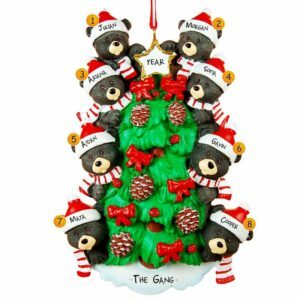 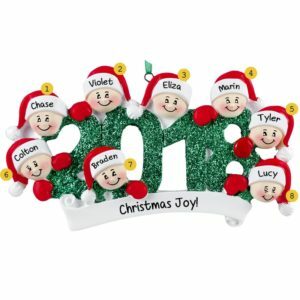 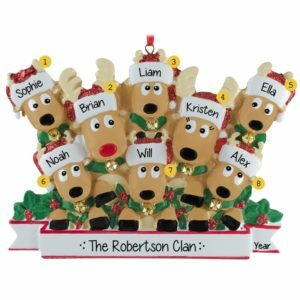 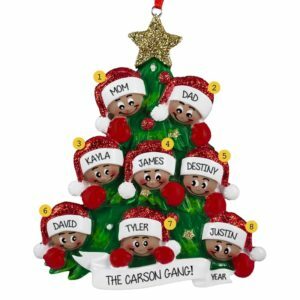 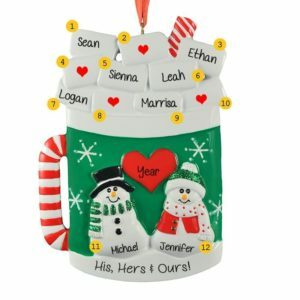 View our wide selection of group personalized ornaments to find the ones that are just right for a family, a team, co-workers, friends or any group of people that have a special place in your life this season. 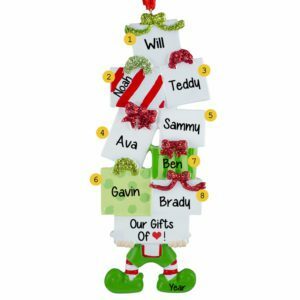 Pay tribute to a special group in your life such as 8 best friends, 8 brothers, Mom and Dad and 6 children, 8 grandchildren, 8 roommates, 8 cousins or any group of 8. 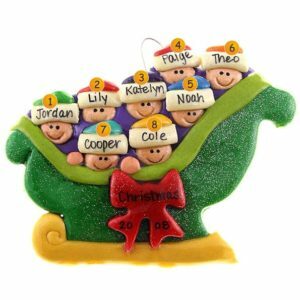 Our customized holiday gift idea for 8 people will be skillfully hand personalized by one of our professional calligraphers. 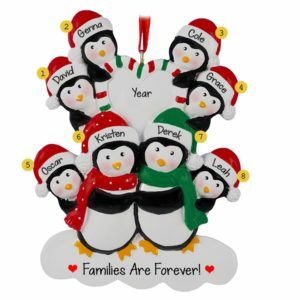 Our best selling themes like dough sleds & sleighs, families decorating their tree or group of penguins huddled together in the snow are sure to be a hit with the lucky recipient.